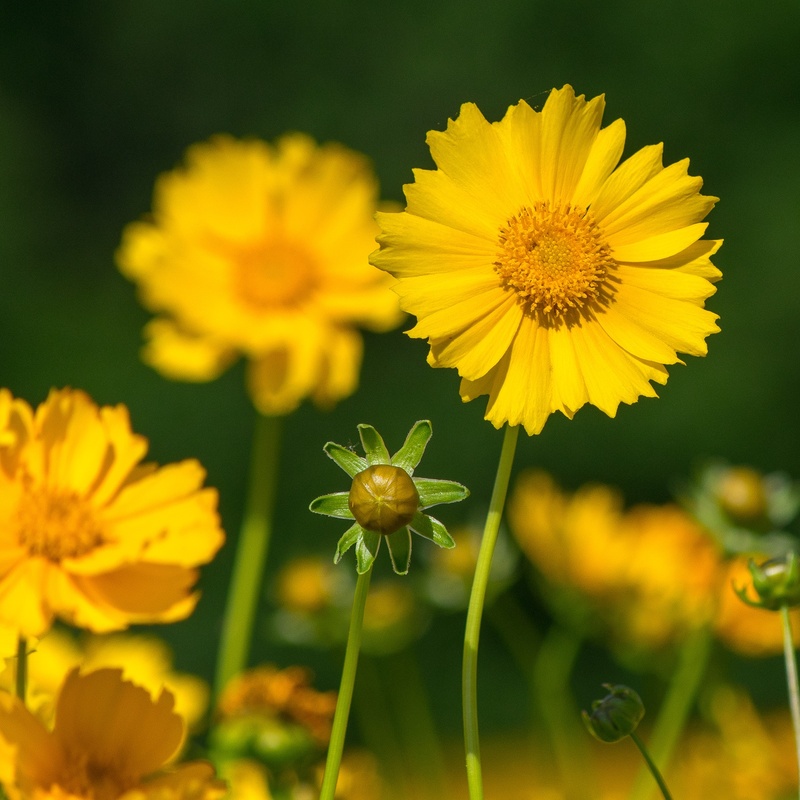 The Plains Coreopsis (Coreopsis tinctoria), or Plains Calliopsis, is a slender plant growth that can reach 3-4 feet tall and carries abundant yellow, daisy-like flowers with maroon near the center. 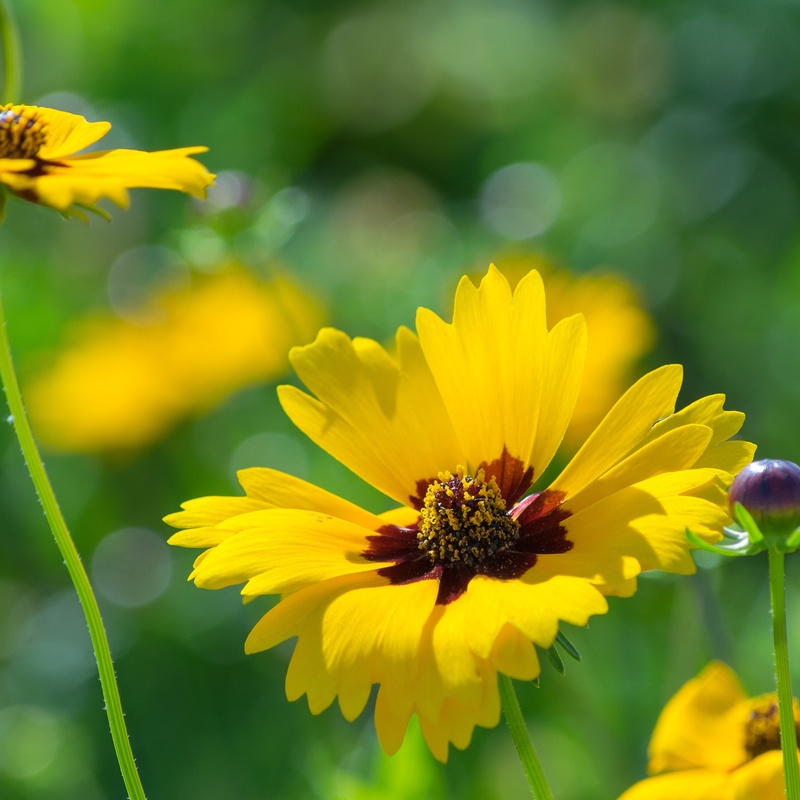 The Plains Coreopsis (Coreopsis tinctoria), or Plains Calliopsis is a slender plant growth that can reach 3-4 feet tall. 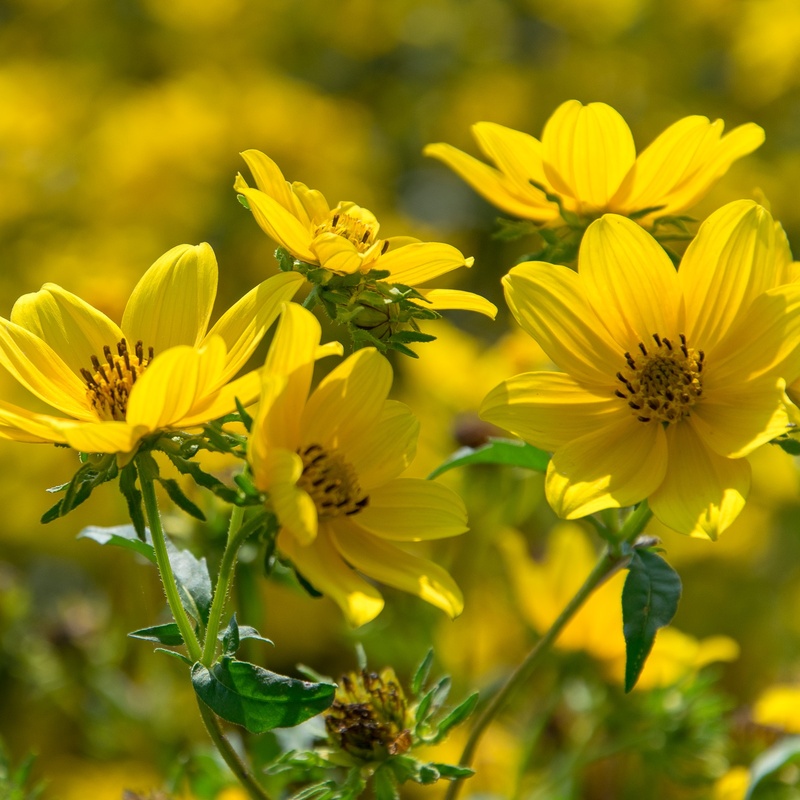 Abundant yellow, daisy-like flowers with maroon near the center. Widespread growth throughout the United States. 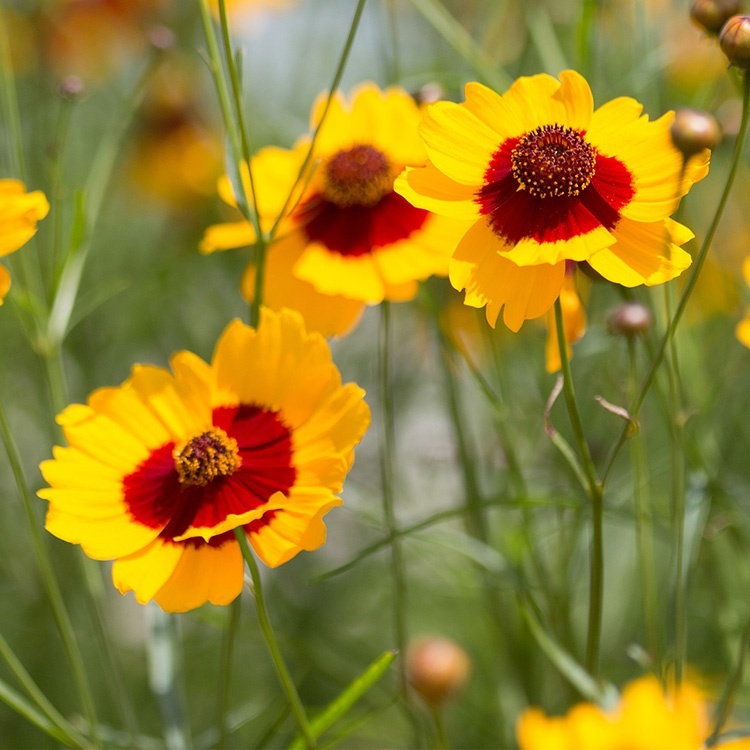 Easy to grow and very showy masses of flowers. Good for meadows and reseeds well. Will be prolific on wet years. 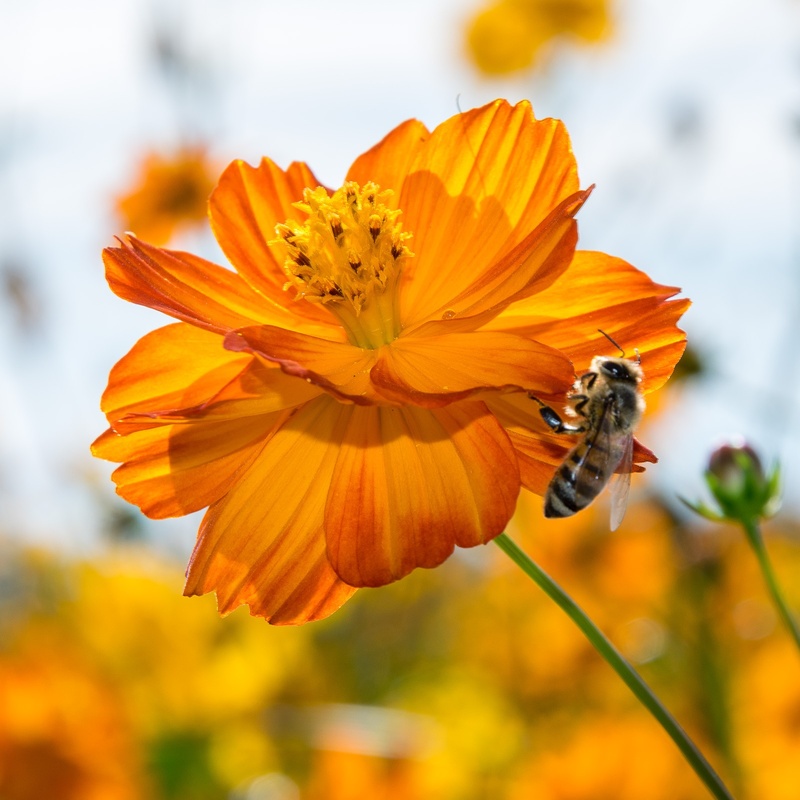 Good nectar for bees, butterflies and seeds good for birds.